Besides the blowback from the revelation that another 1.4 million customers may have fallen into the bogus account trap, Wells Fargo is now facing a class action lawsuit that says it bilked home loan borrowers by charging them extra fees when their applications were denied, even when the denail was because of a bank error. The case revolves around rate-lock extension fees -- the fees borrowers pay to "lock in" an interest rate for a specific period of time, usually 30 to 45 days. If it takes longer than that for the loan to be approved, the borrower is charged an extra fee. The plaintiff in the suit, Las Vegas security guard Victor Muniz, alleges that he paid a $287 fee to extend his locked-in rate even though the delays in approval were caused by the bank, according to a Reuters report. Muniz said the bank hired an appraiser who was out of the country at the time and could not complete the appraisal in the time permitted. The suit charges that the bank's loan department was chronically understaffed and that many customers had to pay the extension fee because of delays caused by the bank's disarray. 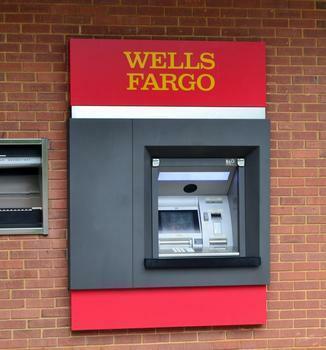 The suit was filed by the Seattle law firm Keller Rohrbeck, the same firm that sued Wells Fargo in 2015 over the creation of bogus accounts, leading the bank to agree to a $142 million settlement.